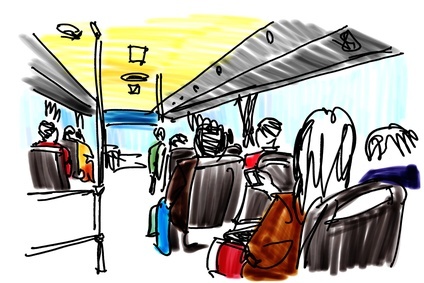 In Jim Collins’s first book “Good to Great” was the first time we heard the expression getting the right people on the bus and putting them in the right seats. This book for me was an eye-opener as it showed me not only the strategies of great companies but what that means for them in establishing their presence in the marketplace going forward. If you haven’t read it yet I recommend it. He has written other books to follow up on the ideas of Good to Great but this will be a place to start. In “Good to Great” when he talked about getting the right people on the bus he had discussed how companies sometimes get hung up on finding people to fit a position to do a certain task or to have certain responsibilities. Instead what Great companies do is to get the right people in the business first, people who match the culture, the values, who match the company. Then once you have them on board then determine where they best fit. This may sound counter-intuitive. I can tell you from my 30 years of experience, having the right people in your organization is much easier to find and then determine the best place for them using their strengths. So think about this the next time that you’re hiring is instead of looking for a person for a specific position, role, or responsibilities. Find someone who has the work ethic, problem solving skills and culture fit for what you need to take the company forward. This is a bit of a paradigm shift yet you can see and will see exponential results. Need help driving your bus in the right direction with people in the right seats? Contact us.